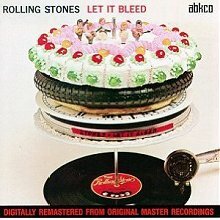 The Stones next album Let It Bleed featured the song “Gimmie Shelter”, “You Can’t Always Get What You Want” “Midnight Rambler” and “Love in Vain”. 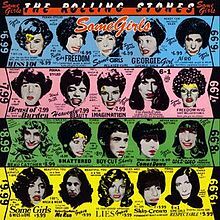 The next album Sticky Finger was released in 1971.and featured an elaborate cover design by Andy Warhol, and contains the hits, “Brown Sugar”, and “Wild Horses”. The Stones classic double album, Exile on Main St. was released in May 1972. their follow-up album Goats Head Soup, featured the hit “Angie”. Their next album was 1974′s It’s Only Rock ‘n’ Roll.Some Girls, which included the hit single “Miss You”, the country ballad “Far Away Eyes”, “Beast of Burden”, and “Shattered”. The band released their next albums Emotional Rescue and Tattoo You in 1980 which featured the single “Start Me Up”. in 1982 the Rolling Stones toured Europe to commemorate their 20th anniversary and released their next album Undercover in late 1983. In 1986′s the album Dirty Work was released,which contained the song “Harlem Shuffle”.The next album “Steel Wheels” included the singles “Mixed Emotions”, “Rock and a Hard Place”, “Almost Hear You Sigh” and “Continental Drift”. Their next studio album 1994′s Voodoo Lounge,went double platinum in the US. and went on to win the 1995 Grammy Award for Best Rock Album.The Rolling Stones ended the 1990s with the album Bridges to Babylon which was released in 1997. In 2002, the band released Forty Licks, a greatest hits double album, to mark their forty years as a band. On 12th November 2012 The Rolling Stones released the album Grrrr to celebrate their 50th anniversary and have also made a documentary called Crossfire Hurricane.The Rolling Stones are one of the of the most commercially successful and critically acclaimed acts in the history of popular music and In early 1989, the Rolling Stones, including Mick Taylor, Ronnie Wood and Ian Stewart (posthumously), were inducted into the American Rock and Roll Hall of Fame. Q magazine also named them one of the “50 Bands To See Before You Die”, and popular consensus has accorded them the title of the “World’s Greatest Rock and Roll Band.” Rolling Stone magazine ranked them 4th on their “100 Greatest Artists of All Time” list. lnternational Migrants Day is an international day observed on December 18 which was appointed by the General Assembly of United Nations on December 4, 2000 to take into account the large and increasing number of migrants in the world. On December 18, 1990, the General Assembly adopted the international convention on the protection of the rights of migrant workers and members of their families day is observed in many countries, intergovernmental and non-governmental organizations through the dissemination of information on human rights and fundamental political freedoms of migrants, and through sharing of experiences and the design of actions to ensure the protection of migrants. In 1997, Filipino and other Asian migrant organizations began celebrating and promoting December 18 as the International Day of Solidarity with Migrants. This date was chosen because it was on December 18, 1990 that the UN adopted the International Convention on the Protection of the Rights of all Migrants Workers and Members of Their Families.Building on this initiative, December 18 with support from Migrant Rights International and the Steering Committee for the Global Campaign for Ratification of the International Convention on Migrants’ Rights and many other organizations – began late 1999 campaigning online for the official UN designation of an International Migrant’s Day, which was finally proclaimed on December 4, 2000. UN Arabic Language Day is observed annually on 18th December.The event was established by the UN Educational, Scientific and Cultural Organization (UNESCO) in 2010 “to celebrate multilingualism and cultural diversity as well as to promote equal use of all six of its official working languages throughout the organization”. December 18 was chosen as the date for the Arabic language as it is “the day in 1973 when the General Assembly approved Arabic as an official UN language.